Aklamio is a refer-a-friend solution provider offering the most comprehensive referral marketing services to global brands seeking a professional partner to grow their user base exponentially. Since its start in 2011, Aklamio has grown to become the leading European referral marketing solution for enterprise customers. 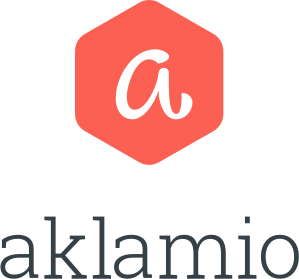 Aklamio’s SaaS technology supports omnichannel tracking and international platforms making it the preferred referral solutions provider. Aklamio’s offer ranges from brand, product and job referrals to hotline and Point of Sale tracking. Aklamio also empowers not only Refer-a-Friend and Member-Gets-Member but also Employee-Gets-Member campaigns of more than 3.000 brands, generating sales uplifts of 20 percent and more. What's unique about Aklamio is the fact, that users get a cash reward instead of the usual vouchers and coupons. The whole process, payout included, is taken care off by Aklamio and our support team. Not only do we help with any question surrounding referrals but we also work with our fraud protection system to secure Your referral programm from any fraudulent activity. To guarantee transparency and a possibility to screen your success, we place weekly reportings at your disposal and consult you concerning campaigns and strategies for your referral program. Over 1 million users and Market leaders like PayPal, Vodafone, E.ON, Telefónica, El Pais, AXA and others benefit from Aklamio’s technology.